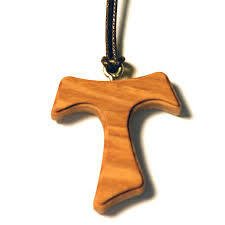 “The rule and life of the Secular Franciscans is this: to observe the gospel of our Lord Jesus Christ by following the example of Saint Francis of Assisi, who made Christ the inspiration and center of his life with God and people. Christ, the gift of the Father’s love, is the way to him, the truth into which the Holy Spirit, and the life which he has come to give abundantly. 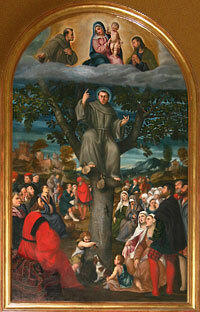 The simple, Gospel way of life of St. Francis of Assisi attracted a vast number of lay people and Diocesan Clergy. They received direction from Francis and were known as the “Brothers and Sisters of Penance”. Receiving an official Rule in 1238, they were called “The Third Order of St Francis” and today we are known as the “Secular Franciscan Order”. Secular Franciscans assemble frequently as a true spiritual family called “Fraternity”. We gather to meet with one another, share our struggles, celebrate our successes, to rekindle our Franciscan ideals and to receive nourishment for our spiritual journey. We are called to be messengers of Peace, Joy and Hope to our families and to society by the example of our daily lives.